Mike Bloomberg came close to running for president, but a surge by Barack Obama curtailed the bid, according to a new book. Mike Bloomberg wanted to be president, and came close to launching a billion-dollar campaign, but his plans were dashed by Barack Obama's surge in popularity, according to a new book. "MIKE BLOOMBERG: Money, Power, Politics,” by veteran reporter Joyce Purnick, paints a picture of the Big Apple mayor downplaying his White House aspirations even as his closest aides fanned the flames of his candidacy with his blessing. The hype started the day after Bloomberg won reelection by a landslide in 2005, when his key adviser Kevin Sheekey, told a stunned cable TV interviewer the Bloomberg for President campaign was ready to roll. Bloomberg repeatedly denied having any interest in being commander in chief, once wondering aloud what chance does a "short, Jewish, divorced billionaire" have. But meanwhile, his people were organizing a stealth campaign complete with a website and national network. As another aide wrote a book about the need for a third party in America, Bloomberg, a Democrat-turned-Republican, declared himself an Independent. The Bloomberg hype reached a short-lived crescendo, according to Purnick, in the last week of 2007, with news that he would join a Jan. 6 bipartisan conference of political heavyweights at the University of Oklahoma. But on Jan. 3, Obama stunned the country by winning the first primary caucuses, and the momentum -- and A-list media -- shifted to Obama. Instead of becoming a launch, the conference became a footnote, writes Purnick. 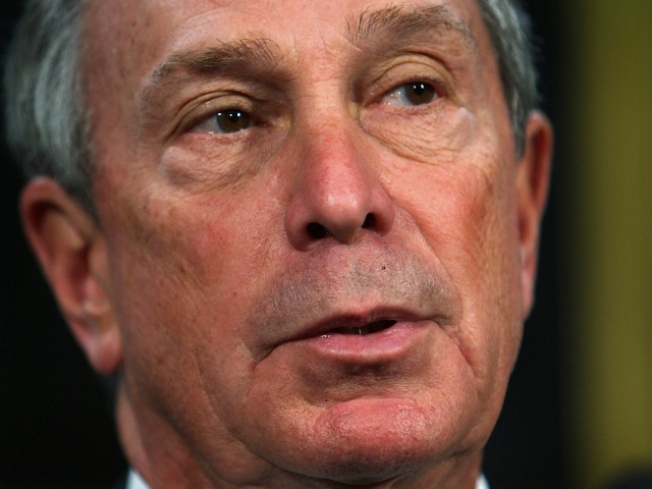 In February, Bloomberg wrote an op-ed piece in The New York Times saying he would not run.